The work I have created for “The Dress” exhibition comes from a response to the story “The Hundred Dresses” by Eleanor Estes. In the story a girl claims to have 100 dresses in her wardrobe at home despite the fact that she wears the same blue dress to school each day. The story interweaves themes of change, the treatment of immigrants, friendship, bullying, poverty, dreams and aspirations. It is told by a third party to the main action, someone who was there but did nothing to stop the behaviour of her friends; a reaction she begins to question as the story unfolds. 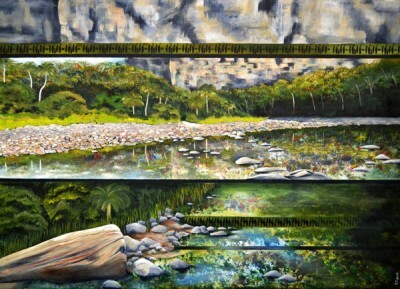 In each of the works a silent witness appears in the background, unwilling to speak out, to see what is happening, to hear the impact of what is being said. The dresses, made from reclaimed silk, reflect the 40’s era that the story written in. They stand out, like the main character’s drawings, as vibrant as Christmas lights. Each representing an aspect that was targeted by the bullies in the story – wealth, name, dress. The embellishments further reflect these aspects: the cage of poverty; the names we are ‘tagged’ with at birth; the juxtaposition of character jewels with physical jewels. 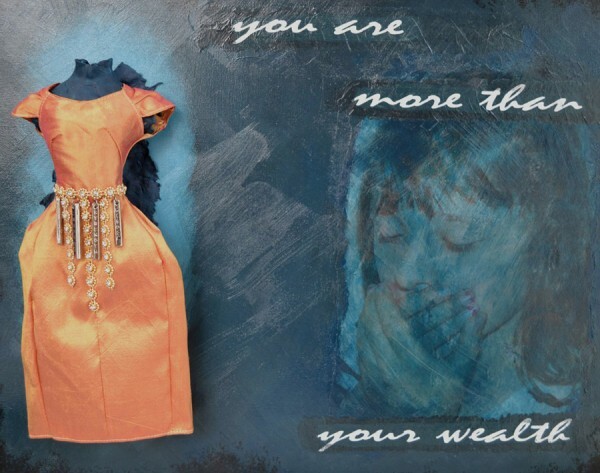 "You are more than your wealth"
The Dresses were created from reclaimed silk. Silk that had been discarded from the making of saris and destined to be trashed. 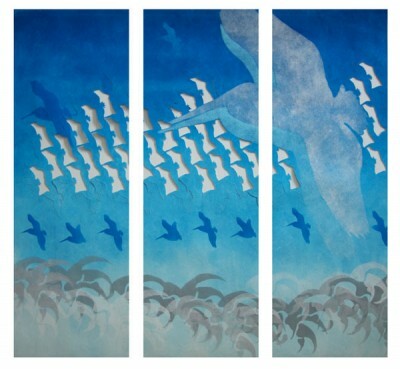 Using the reclaimed silk worked further with the theme of the exhibition – taking something considered worthless and allowing it’s beauty to shine. 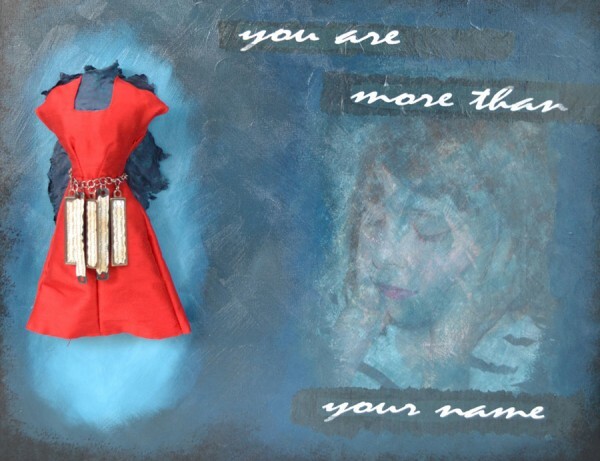 "You are more than your name"
Naming someone brings with it identity baggage. It can be a marker for your place within the world. That is why name calling can be so hurtful. It’s playing with that identity. When I changed my surname after getting married someone remarked to me that they thought I had “disappeared”. Such is the power of names. 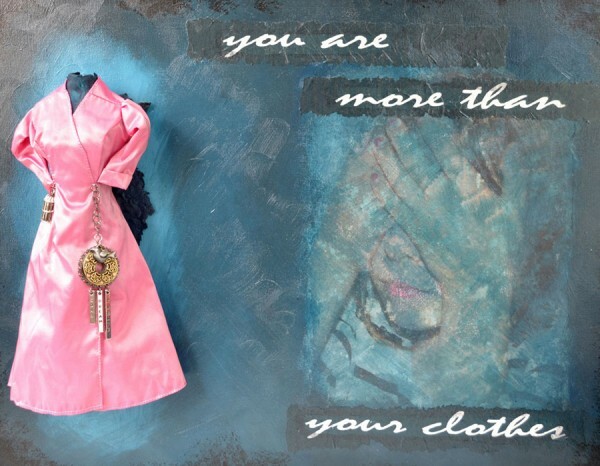 "You are more than your clothes"
Our clothing often is used to judge the character of the person. 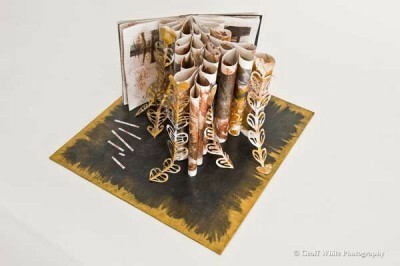 “First impressions” can seen you dropped into a certain “box” and left there without an opportunity for review. But clothes are not character, they are merely clothes!